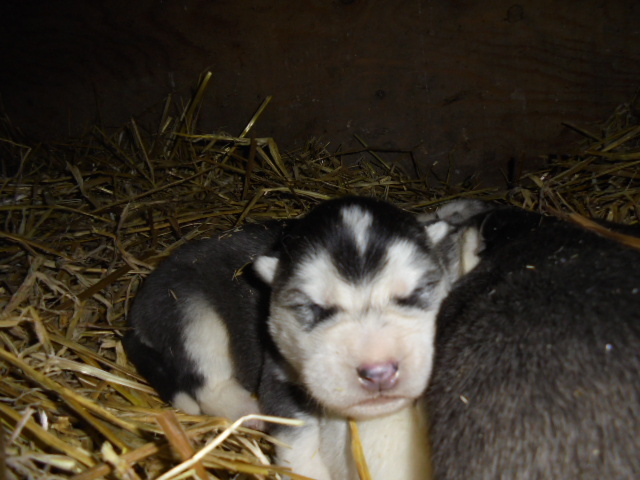 What makes a sled dog happy? 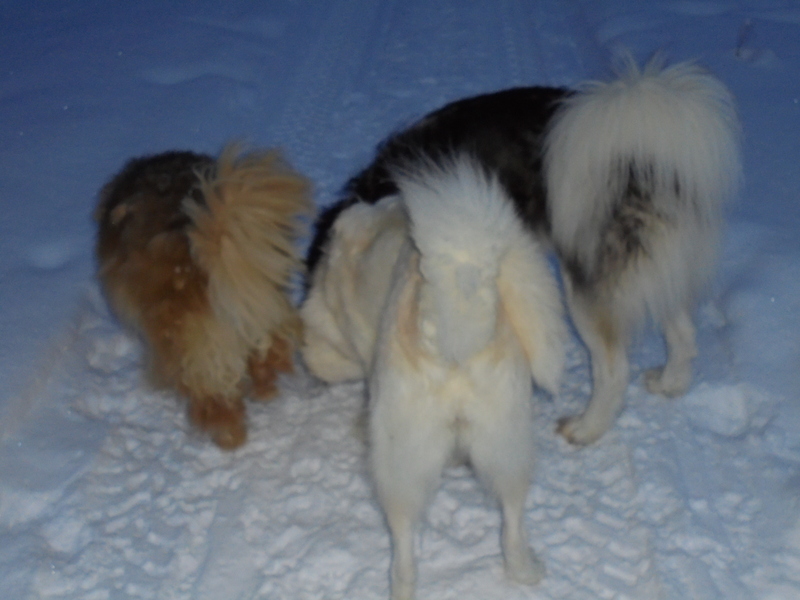 Wooley, Polar and Sasha exploring trail conditions. Polar carefully considering my words. 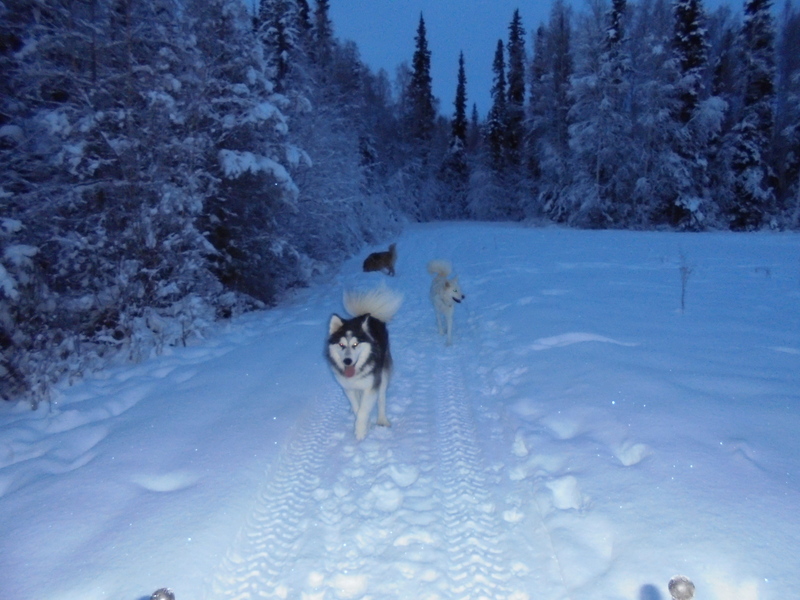 Going on multi-day dogsled/camping trips with their mushers who don’t seem to mind that there is hardly any snow……. 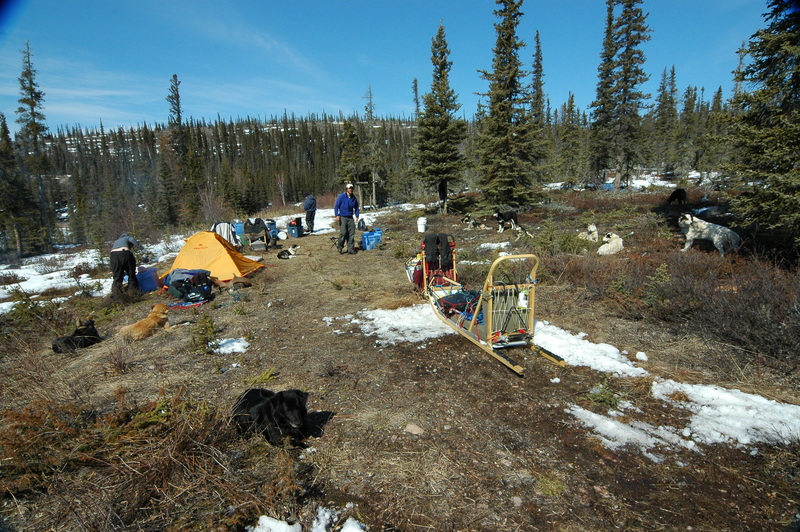 Our first camp during our epic move to Alaska. Would have been perfect with snow! There was a lot of fox activity on this trail including lots of pee to sniff. 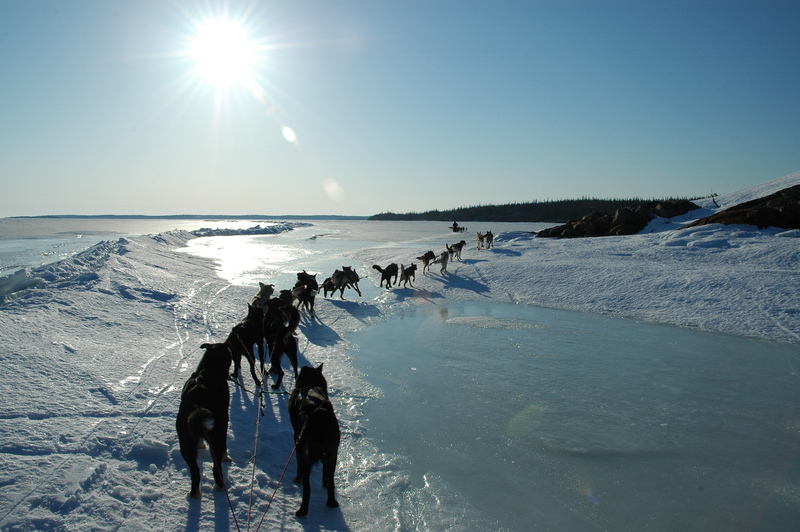 Running in harness on frozen lakes……. Great Slave Lake in the Northwest Territories. Photo courtesy of James Gill who was part of this very awesome and challenging trip. 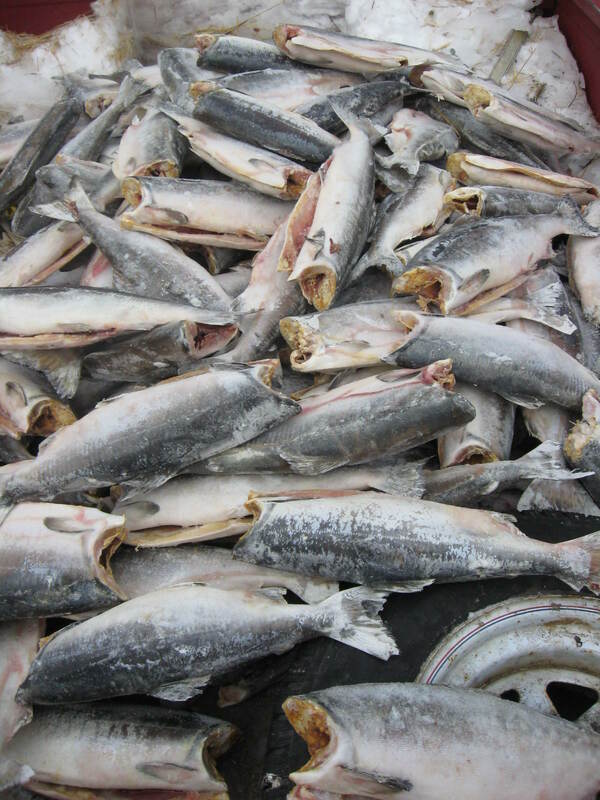 A pick-up truck load of salmon. 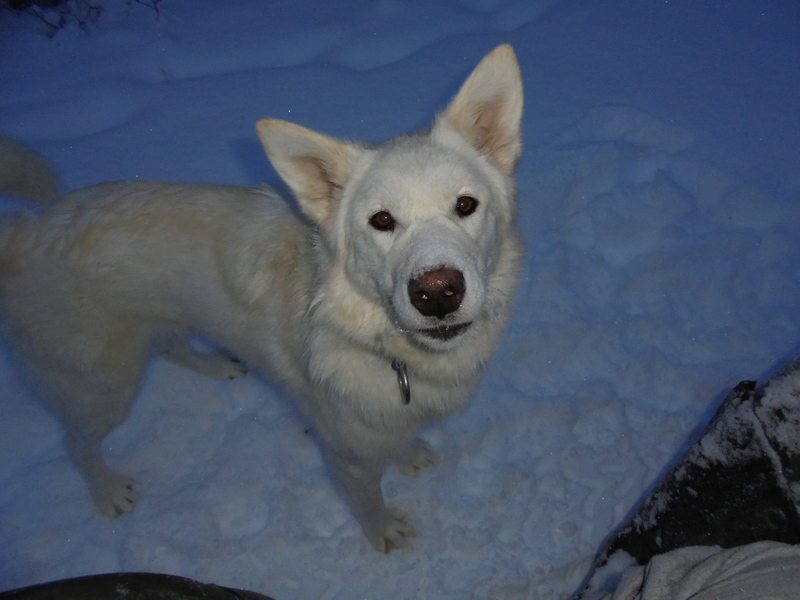 Last winter we fed 500 salmon to our dogs along with kibble and meat. 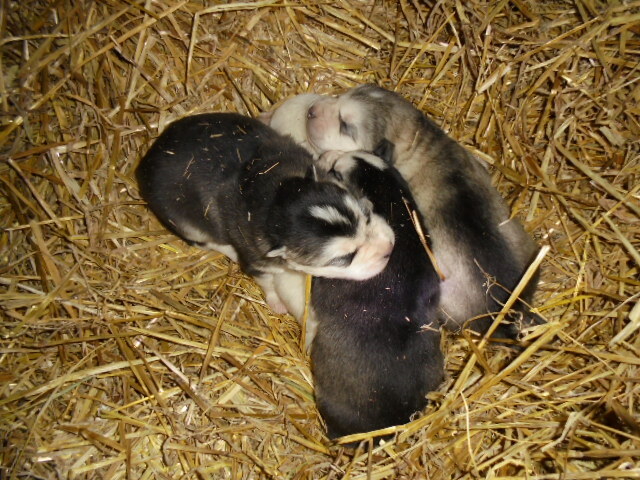 Puppies piled on fresh straw. They are 12 days old here. Go ahead and try to resist that face! I tried to get pictures of the adults and their freshly strawed houses but it’s dark and frankly not one of them would co-operate. They were busy fluffing up nests to the point where all you saw was straw in the doorways and no dog. We use about 40 bales a winter for the dogs and straw day is very exciting indeed. I imagine the fresh bedding feels good, but more than that, there must be a whole world of smells in that lovely yellow grass. Not only do the dogs get fresh bedding but apparently it’s straw day for me too. Somehow, even though I wear a parka, outdoor pants, gloves and hat, I still find straw in my hair, under my shirt, in my bra and yes folks…..in my underwear. Moving right along, I also had Armageddon, the 110 lb quivering with energy Malamute, jump up into my face as I was leaning over. Thankfully he just hit the side of my head – still hurt though and I may have used some inappropriate language. Ah well, he’s used to it.